Opening the lid you will hear the noise of the shoes on the narrow cobbled streets of Florence, that of dishes in the kitchens, you will breath the scent of typical Tuscan products that is released from the open windows during summer. Close your eyes and start dreaming about the majesty of Ponte Vecchio (Old Bridge), the fascinating flowing of the Arno river and the hills in the countryside where poets and astrologers, such as the famous Margherita Hack, have always looked at the stars, the hill of Arcetri. 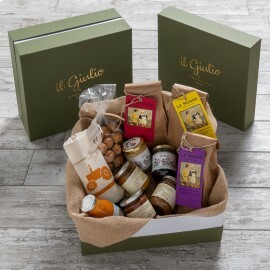 In the Old Florence box you will find the genuine pleasure of craftsmanship, of the “homemade" products: the ingredients are those of an Italian dinner and even more specifically, the original products of the Florentine table. The tomato sauce is the careful result of many years of study on the cultivation of the "costoluto fiorentino”, a variety which is a narration of velvety excellence, the royal dress for an exclusive pasta. The excellent metaphor of the Fattoria di Arcetri and its balanced relationship with the natural environment. Spaghetti, Fusilli and Mezze Maniche (Az. Michele Emiliano) will perfectly blend with your favorite condiments. 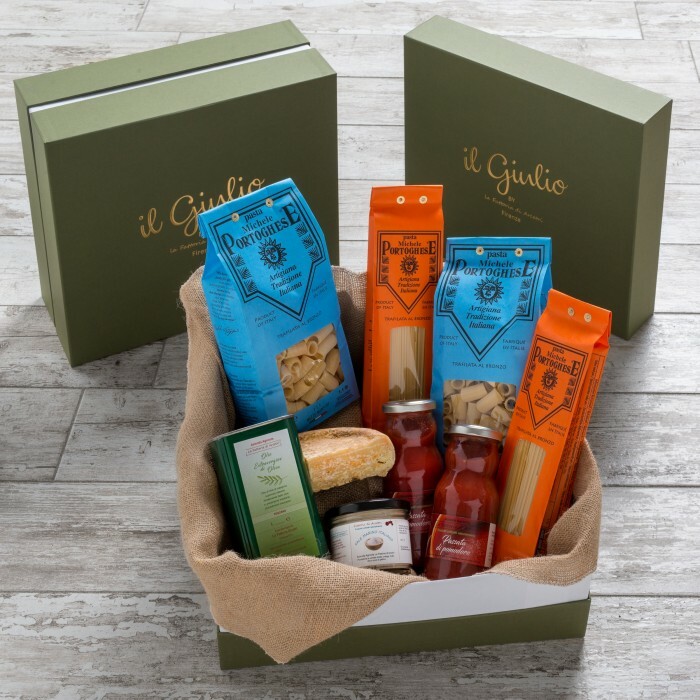 The culinary culture of Italy is condensed into a perfect marriage, sealed, like a ring, by the precious organic extra virgin olive oil. The aged cheese (Agr. 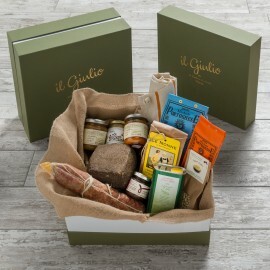 I due falcetti) creates the ideal setting for a fabulous tasting with just a glass of red wine. Also the sea salt enhances this "made in Italy" selection, exalting the “dolce vita” Tuscan lifestyle. Get your great opportunity for a different online shopping experience, buy an elegant gift for those lovers of simplicity and true luxury, browse the pages of our portal and choose your specialty.